Cochon Wines is the brainchild of Adam Webb and Mike Kuenz, owners of Odisea Wine Company, which is a Rhone and Iberian specialist using California grapes. 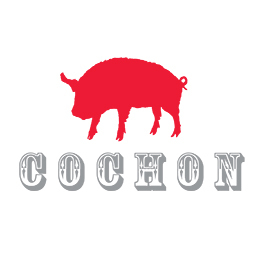 Cochon, the loving French word for Pig, in this case refers to the use of the 300- liter French oak barrels Cochon Wines are aged in. The term Hogshead or Hog has long been used to describe these unique shaped barrels. With under 400 cases produced of each the white and red, these are surely as rare as they are delicious.